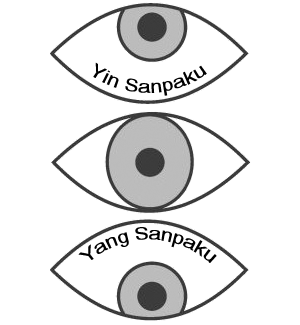 Sanpaku is a Japanese term meaning “three whites,” and is generally referred to in English as “sanpaku eyes” and refers to eyes in which the white space above or below the iris is visible. I have always been fascinated with eyes. It is the place where I connect or feel disconnected to other people. And it is the most important element in my art. I always start out with the eyes, working my way from there like they are the gravity of the piece. The eyes is the heart of my portraits. You can see the raw emotion I am going for, concentrated in the eyes. Madness. Fear. Rage. Horror. 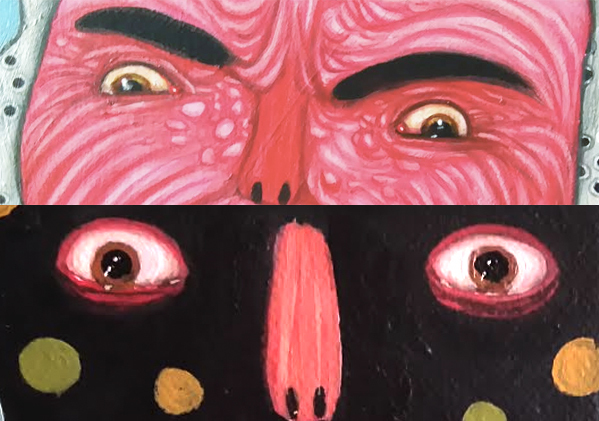 I love exploring these emotions through the eyes, especially eyes with three whites visible instead of the normal two. These eyes are called Sanpaku eyes, where three whites are visible; extra white below iris (yin) which comes from a long-term pressure of feeling inferior or from stress – or extra white above iris (yang) which is an indication of a manic, psychotic state, superiority or madness. When I was abused – I got to know the yang sanpaku eyes up close, and how they got dark, almost black right before I was attacked. It was scary. Perhaps that is one reason why I work with “crazy eyes” in my art, as a way to deal with the memories. These eyes can be so intense, yet so distant, like they are looking right through you. I read a theory about yang sanpaku eyes – which is seen in many killers and psychotic people – that their sanpaku eyes is an indication of how lost they are in their own imagination. When you are using your “inner eye” and the imagination is activated, you open your eyes wider. Try it. Look in the mirror and let your imagination take over, you will see extra whites around iris. It’s hard to catch yourself daydreaming, but try to study other people who are daydreaming and watch their eyes expand. It could be that killers and psychotic people, who have a deeply distorted sense of reality are so lost in it, and in that “daydream state” all the time. It’s just a theory but an interesting one. I will make more research about sanpaku eyes and about how eyes can tell stories about our hearts and minds. 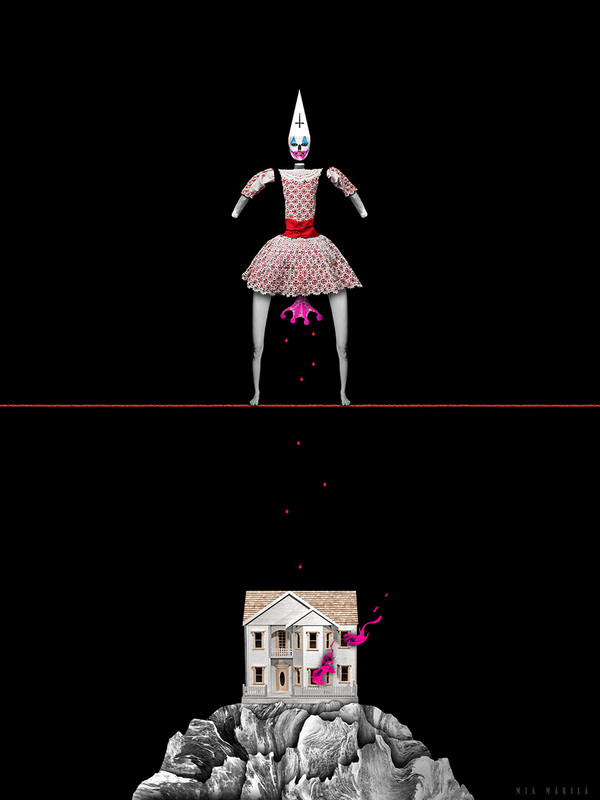 I want to get even better at capturing the essence of madness, rage, fear and horror in my art. I never want to be too obvious, I prefer strong yet subtle expressions. That’s what makes it such a fun challenge. I end this post with my favorite sanpaku girl – Laura Bush (perhaps just in one unfortunate photo).